Matabeleland South residents have accused President Emmerson Mnangagwa of ignoring them during his midweek visit to the province. The residents, his ruling party members and sections of civil servants quickly blamed Mnangagwa's failure to attend to them on what they called a "weak" provincial party hierarchy and "sleepy" government top executives. Mnangagwa's pokesperson George Charamba was not picking his mobile phone yesterday when comment was sought. Matabeleland South ruling party supporters lashed out at Rabelani Choeni, their provincial head, accusing him of lacking initiatives to move the party into another gear in the face of development challenges in one of Zimbabwe's least developed provinces. "President Mnangagwa came and left without talking to us, the people of the province," a Zanu-PF member said. "We showed faith in him during elections. It can only be a result of our poor provincial representation, how else can we conclude apart from? "Known tradition is that such visits are used well to endear the president who can go out of his official schedule to address us or even take time to listen to our problems. "We expect the leadership to highlight to him all this and he should not be divorced from us." Mnangagwa was in Beitbridge, Matabeleland South's biggest and Zimbabwe's most strategic town and port, to commission a $98 million backbone optic fibre link between the country and the world through South Africa. He arrived and officiated at a function hosted by TelOne, the country's fixed telephone network provider, and left minutes later. Departing from the norm, Mnangagwa, who flew into the border town aboard an Airforce of Zimbabwe helicopter that landed amid thick security, went straight into business. He did not meet with the local leadership, business community or party representatives for a debrief. "We felt so abandoned and ignored, it shouldn't be like this," said a party supporter speaking on condition of anonymity. "Ideally, the local leadership is expected to bring him up to speed with local challenges and make him localise his approach. This is to endear him with the constituents. "Presidential visits are few and far between and prudent leadership capitalises on such days for his ear to get developmental attention," said a Beitbridge war veteran. "Our party is rural-based from even during the war and any opportunity for the president to meet the masses must not be missed. Someone is sleeping in the provincial cockpit or even at national level," the war veteran said. Matabeleland South province is the most underdeveloped in the country with a poor road network, sparsely distributed schools and a people hard hit by a failing rainfall pattern threatening nutrition. 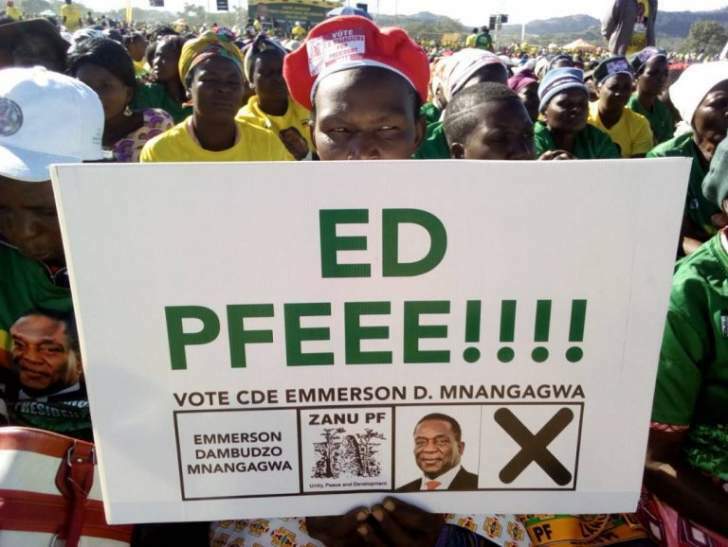 Some traditional leaders said Mnangagwa should have also attended to the issue where a Beitbridge traditional leader, Chief David Mbedzi, was attacked by soldiers guarding the Beitbridge. "He should talk about that and (vice-President Kembo) Mohadi and Choeni should have told him it's something that affects us. The soldiers are not above the law and it is us who vote," said one traditional leader.